Do you still have energy for dancing and clubbing until dawn? 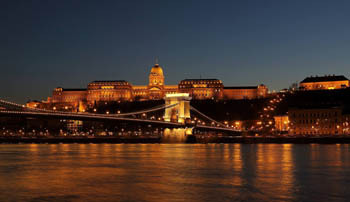 Do you want to see the city by night, perhaps from a boat on the Danube? Or do you yearn for cultural entertainment? Budapest nightlife has all these for you, at an affordable price. Both downtown Budapest and the outskirts have plenty of bars and clubs, dance halls, discos. Many stay open until late at night. Even the thermal baths host awesome parties with great music, laser effects and light show. TIP: Check out the Spa Parties in the Széchenyi in the summer months and the Magic Bath parties in the Lukács during the cold season. Entry fees to most bars are usually around 1 000-2 000 HUF, 3 – 7 EUR. Alcoholic drinks are relatively cheap, so you can get drunk without going bankrupt. Note that you must be over 18 to be served alcohol in Hungary. Budapest will dazzle you with its wide variety of clubs, and bars. If you want to have a mind-blowing night out you’d better pick up some knowledge. To avoid spending the night wandering between randomly selected places that don’t appeal to you, browse our hand-picked list of Budapest Nightclubs. Explore the famous ruin bars of Budapest with an expert, English-speaking guide who knows the city’s party scene and the story behind the famous retro bars inside out! Dates: every day, except Sunday and December 24., 25. 26. and 31. May – October: Fridays & Saturdays at 23.00. 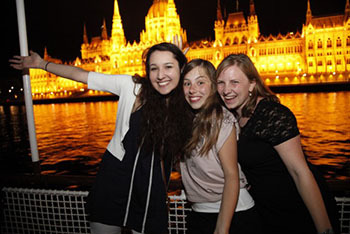 Have a fantastic night party on a boat on the Danube. 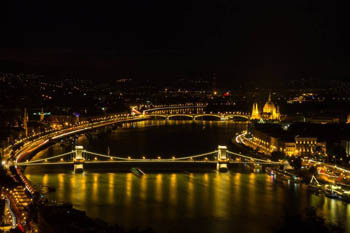 Great music, drinks and the beautiful night view of Pest and Buda ensure for a wonderful time. The ticket includes a welcome drink and you can buy more drinks (cocktails, soft drinks, beer, wine etc.) in the open bar at fair price. Budapest’s Nightlife offers tempting cultural entertainment as well. Do you love classical music, are you an opera-fan? Our city is the right place for you. 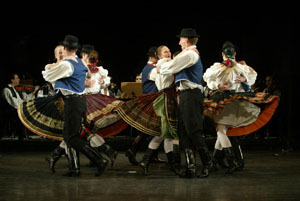 Hungarian Folk Dance Performances – if you want to learn about Hungary’s rich folk culture see an awesome folk show by award winner folk ensembles. Program starts at 20.00 every day in high season and lasts 1,5 hours. Gala Concert with Cimbalom Show in Duna Palota/Vigadó Hall – a 90-minute unique performance in a beautiful baroque palace, starting at 20.00. 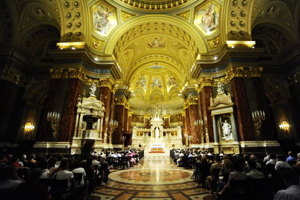 Many Budapest churches give home to wonderful organ concerts. TIP: the most prestigious such church is the Basilica on Szt. István Square Listen to classical tunes at a beautiful, historic venue. TIP: Most of the above programs are available in package deals where you book two programs at a discount price. E. g. you can combine a folk performance + a night cruise, or with a bath entry (skip the line entry with E-Ticket). The State Opera House is a must-see architectural gem in itself. The cheapest tickets are around 1 500 – 2 000 HUF and pthe best seats can cost up to 18 000 HUF. If you’d like to sit in the royal box where once the Hapsburg nobility had sat you have to pay around 9 000 HUF, 36 EUR. Of course you can get tickets for 4 000 – 6 000 HUF, 16-24 EUR if you wish. Budapest is a festival city. 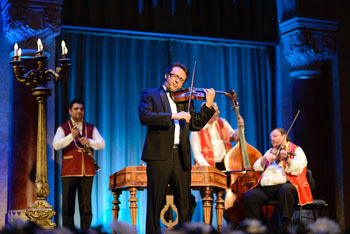 Every season has its own festival with rich cultural, and musical programmes. For more details check out our event guide. Budapest is trully magnificent at night especially on a warm summer day. the Fishermen Bastion in Buda Castle. Cross one of the central bridges spanning the Danube – Margaret Bridge, Chain Bridge, Elizabeth Bridge, Liberty Bridge to see both sides of the illuminated city reflected in the river. TIP: The most convenient way of sightseeing is a night cruise with optional dinner starting at 10 pm every day. You can book it with just drinks, a 7-tier wine tasting or artisan beer sampling. Instant confirmation with E-Ticket! Do you like gambling? Budapest used to have over a dozen casinos. 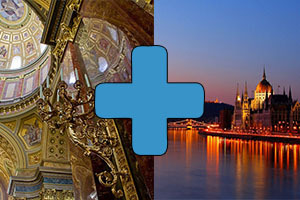 You’ll find most Budapest Casinos in the luxury hotels along Dunakorzó, between Chain Bridge and Elizabeth Bridge. The vast majority of Budapest restaurants, cafés, clubs and bars offer good value and service. However, the drawback of the city’s colourful and rich nightlife scene, that some places come short of hospitality and fairness. Of course, the responsible ministry knows about these problems and has taken measures. To avoid unpleasant experiences read our safety tips regarding nightlife entertainment in Budapest. Unfortunately some places target tourists to rip them off and they even apply physical force to make their victim pay the extremely high bill. See the black list of places below that tourists frequently complained about . In any case you fall victim to overcharging, pickpockets, physical intimidation or any other scam, call this number: 438 8080 (set up by the Ministry of Economy)! You can report the affair to English speaking operators. You should also report your complaint to your embassy. Any nightclub in Váci utca. Good news is that two infamous places have been shut down: Milady on Szt. István körút, and Madame Pompadour’s (we’ve received many stories from tourists having been ripped off in this bar). 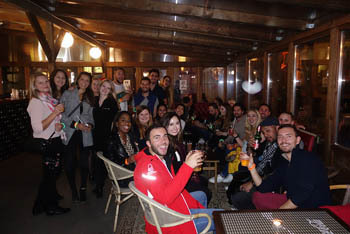 Read more travellers’ reviews and stories about Budapest Nightclubs & Bars. Prices on the menu. Always study the prices on the menu, and make sure you know how much the dish/drink costs before you order it. Get out off places that do not provide the prices on the menu (according to the law, prices must be clearly indicated). Buying drinks to girls. In some bars and clubs girls might come to you to lure you into buying drinks for them . Politely turn them down, otherwise the staff might surprise you with an exorbitant bill. Taxis– always travel with taxis of reliable companies and order it by phone to get a discount. See our list of reliable Budapest Taxis, or ask the hotel staff to suggest you good taxi companies. Do not let seemingly helpful taxi drivers or local women lure you to an establishment they recommend. They may receive a commission for bringing victims to the place! It would be a pity if based on these scams you decide not to have a taste of nightlife in Budapest.